Glad you had the title to explain a bit. Yes, lichen, though I can't really get my head around what this lichen is growing on. It is quite lovely, nevertheless. It's pretty in it's own way. It looks like it's spreading. Land seaweed? Great shot. Love the ruffled edges! i bet it reminds you of crocheting .... lovely lichen! 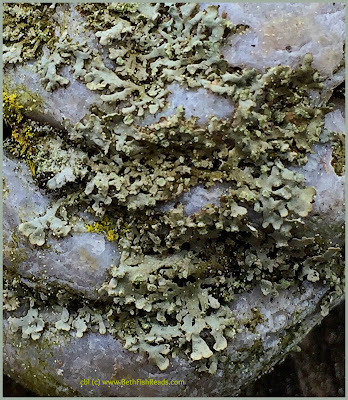 Very pretty; I love lichen. So many different kinds and all pretty! It looks very special !